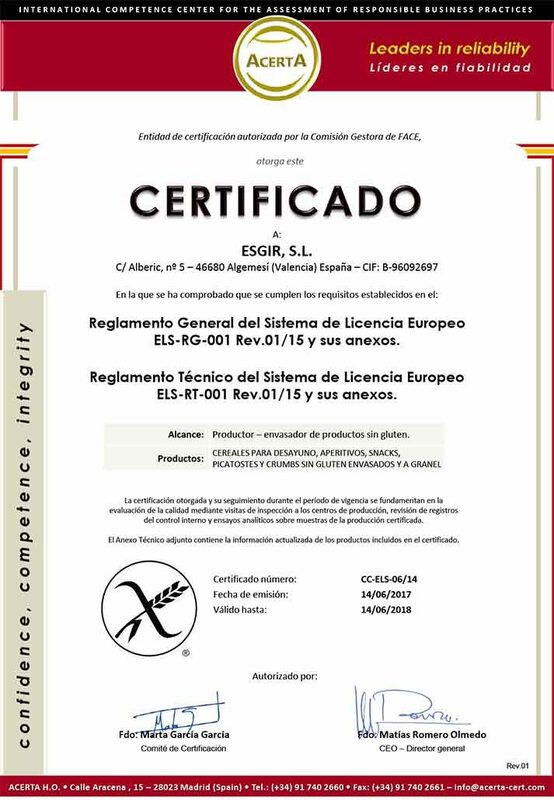 ESGIR employs rigorous selection processes for approved raw materials and Gluten-Free ingredients. Our guarantee is based on continuous quality control and food safety in all production phases. 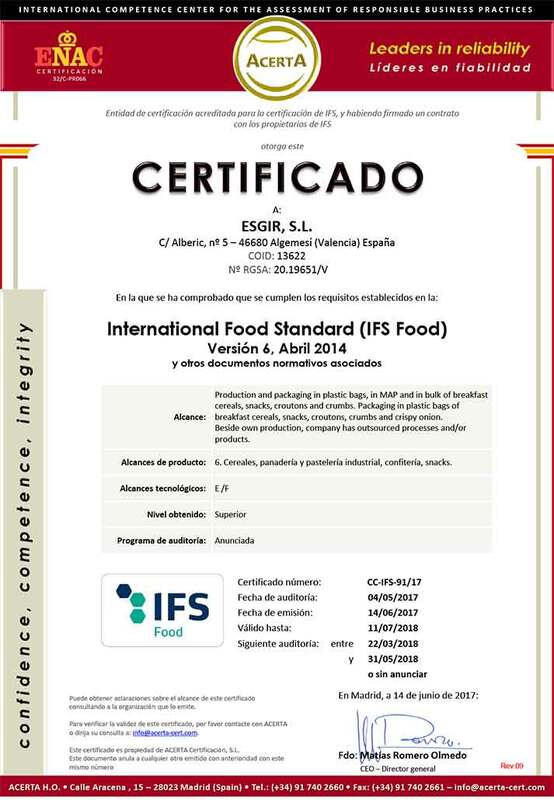 ESGIR features the ELS Gluten-Free certification and the IFS certification (International Food Standard).